The yearning for historical justice – that is, for the redress of past wrongs – has become one of the defining features of our age. Governments, international bodies and civil society organisations address historical injustices through truth commissions, tribunals, official apologies and other transitional justice measures. Historians produce knowledge of past human rights violations, and museums, memorials and commemorative ceremonies try to keep that knowledge alive and remember the victims of injustices. In this book, researchers with a background in history, archaeology, cultural studies, literary studies and sociology explore the various attempts to recover and remember the past as a means of addressing historic wrongs. Case studies include sites of persecution in Germany, Argentina and Chile, the commemoration of individual victims of Nazi Germany, memories of life under South Africa’s apartheid regime, and the politics of memory in Israel and in Northern Ireland. 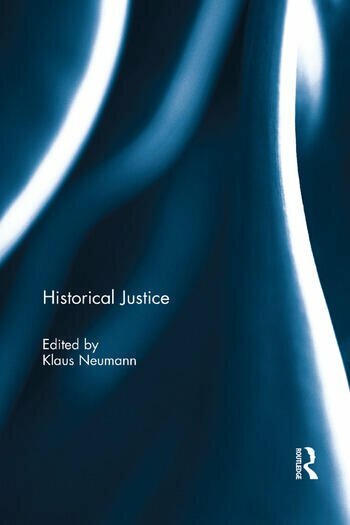 The authors critique memory, highlight silences and absences, explore how to engage with the ghosts of the past, and ask what drives individuals, including professional historians, to strive for historical justice. This book was originally published as a special issue of Rethinking History. Klaus Neumann is a trained historian who works as a research professor at the Swinburne Institute for Social Research, Swinburne University of Technology, in Melbourne, Australia. Recent titles include Across the Seas: Australia’s Response to Refugees: A History (2015) and Historical Justice (ed., with Janna Thompson, 2015). He is currently researching issues of historical justice, the policy response to refugees, asylum seekers and other irregular migrants, and the politics of compassion.